A stylish Summer picnic basket complete with accessories. 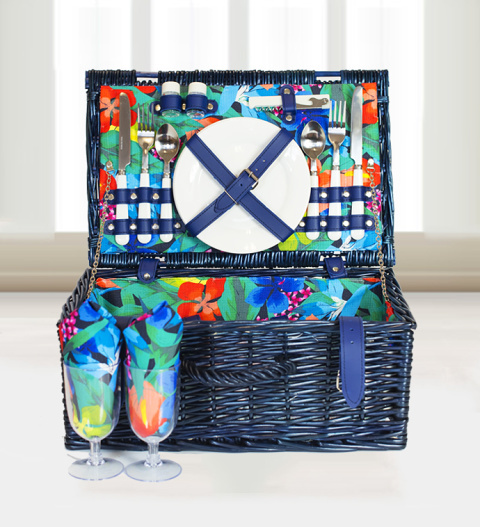 The Californian basket is complete with plates, glasses and cutlery for 2 persons. Salt and pepper shaker and waiters friend included. This retro style basket is perfect for taking to the park, beach or anywhere with a tranquil view. The Californian basket is available for UK next day delivery.